You want to talk “moral relativism”? 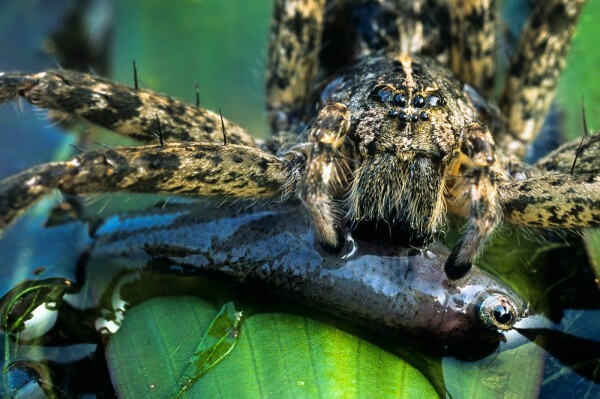 The female dark fishing spider mutilates her mate's genitalia and then eats him after mating–and Homo sapiens scientists see the evolutionary sun shining! Oh, how lovely for the female, and the species, that she is so well-fed! 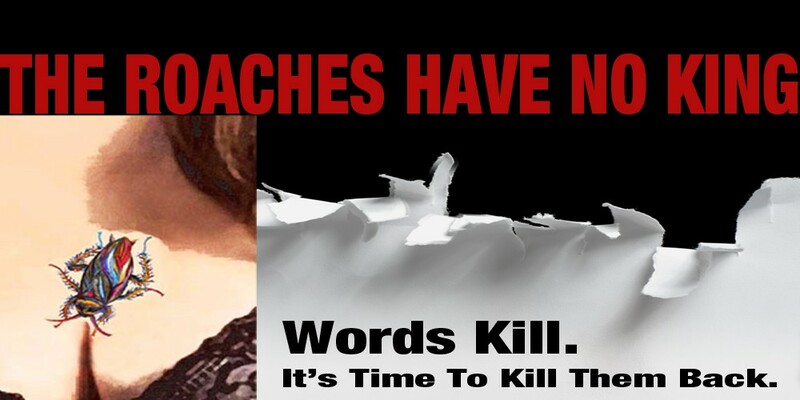 Homo sapiens females who kill their mates are labeled ‘black widows’, and called to answer for their crimes. But here is where Homo sapiens has made another of its bizarre adaptations. Some females psychologically mutilate their mate’s genitalia and then financially devour him. 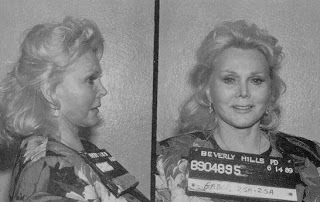 This is deemed acceptable, even laudable. Why? Where is the “evolutionary advantage”? High school students and other citizen scientists collecting and helping analyze Americans using DNA barcoding. Do Americans differ genetically between cities? To participate, collect a dead American. All you Homo sapiens must think this is either appalling, or a joke. In fact it is real. I made one small change. From the official document I removed one word: roach. The project needs dead American roaches (Periplaneta americana). And now you think it’s fine, right? 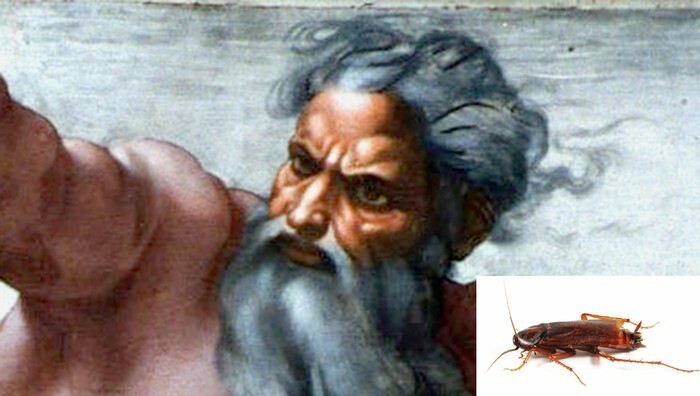 THE HEAVENS—Saying He was astounded with their continued tenacity and resilience through generations of life on earth, God Almighty, our Lord and Heavenly Father, declared today His overwhelming pride in cockroaches. The Divine Creator, who spoke extensively with reporters about the prevalent group of insects, repeatedly stated that cockroaches have “far exceeded” His expectations for them and conveyed His deep admiration for the accomplishments of all 4,500 cockroach species. Calling the insects’ adaptability to constant environmental changes “unparalleled,” the Maker of Heaven and Earth was visibly elated when discussing the tremendous volume of vibrant, cooperative communities that cockroaches have built across the world despite possessing neither complex brain structures nor opposable thumbs. He Who Commanded Light to Shine Out of Darkness told reporters that, when comparing cockroaches to other species like zebras, plankton, alligators, human beings, or plant life, He was most taken by how the average cockroach would willingly eat anything, live anywhere, and compete against any species in order to survive and reproduce. Furthermore, God noted that in His overwhelming praise of cockroaches, He hadn’t even factored in the numerous members of the genus that have the ability to fly. 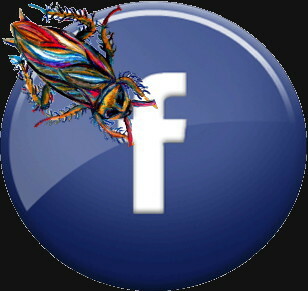 The omnipotent entity went on to state that He occasionally wished more species exhibited the persistent willpower and determination of cockroaches, but then reminded reporters that He continued to love all of His creations equally for what they had to offer.